Swapping out old home appliances and replacing them with new “smart” technologies and systems can be a good move by opening up the door to saving a substantial amount of money on utilities. Each household will be different and will require a unique look into the needs and uses of these potential technologies. Not every solution listed here will benefit every household equally. For example, small homes which don’t use very much electricity might not benefit from installing solar panels like a large home. The future looks bright for energy conservation and smart gadgets are entering the market for consumers at an ever increasing rate. Solar energy. Solar panels convert the energy from the sun into electricity which is used in the home. Homes located in geographical areas with more sunlight will benefit more from these energy solutions. The direction of the roof also plays an important role in using energy from the sun. You’ll also want to consider the size of your home, how much energy you want to replace with renewables, and manufacture/government rebates and tax incentives for using solar panels. 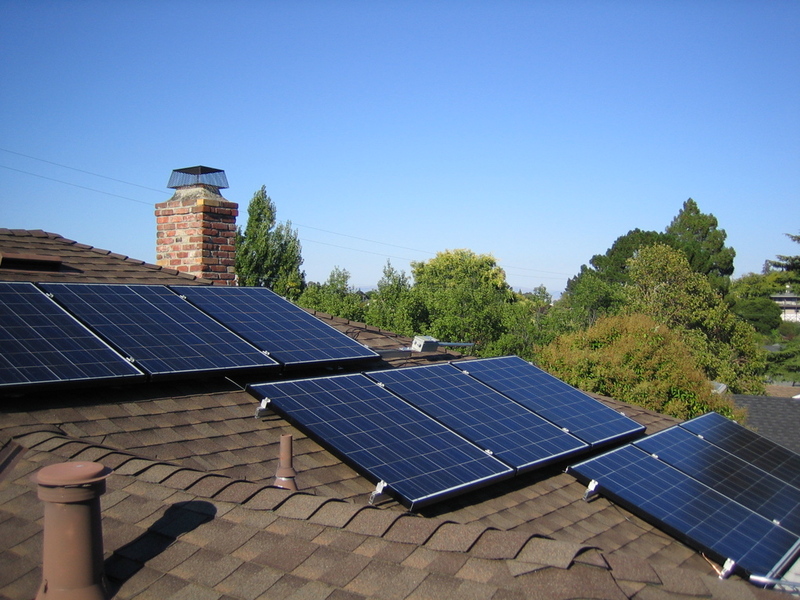 In general, if your home uses lots of electricity you will begin to save money with solar energy very quickly. Many solar companies also now provide a power purchase agreement (PPA) in which you essentially lease the solar equipment from them and agree to pay for the energy your system produces. The energy is a fixed rate, the installation and maintenance costs the homeowner almost nothing, and the rates are much lower than traditional utilities. By combining solar renewable energy and home automation systems this becomes a smart alternative to getting electricity from the power company. In general, by going with the solar panel solution, you can count on saving about 30% off your energy bill. If you decide to purchase the solar panels out right, plan on spending $2000-$10,000 depending on the size of your home. Wind energy. 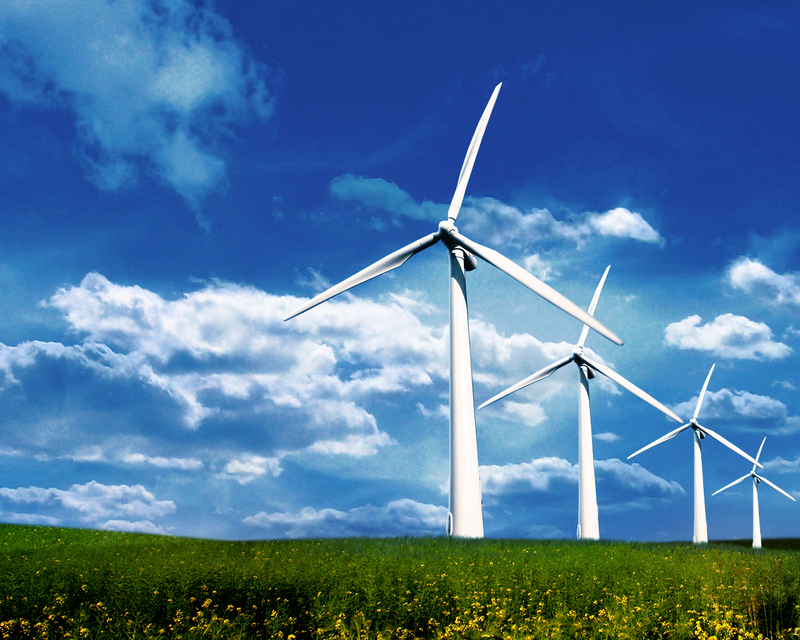 Purchasing and using home wind turbines to create electricity is another possibility in the quest to save money. The most effective wind turbines are not small. Many of them reach heights up to 20 or 30 feet in the air to produce the needed energy from the wind. If a tall wind turbine is going to be a problem as an eyesore this might not be a good solution. The good news is that even though they are tall there is not a problem with wind noise so they won’t be disturbing yourself or the neighbors by the noise they create. Take a look at The Wind spire, priced around $5,000 and with a annual energy production of 2000 kWh, to get an idea of whats out there. For a less pricey version of harnessing wind energy, look at Air Breeze, a small traditional looking wind prop capable of producing 200 watts daily. That’s about the amount of power to run a computer or TV. Priced at around $500 it might take you a while to make up the difference in energy saving. The wind generated renewable energy market doesn’t have roots as deep as solar yet, but the market is emerging and worth keeping your eye on. According to the US Energy Information Administration the average residential energy use is 11,496 kWh. If you had half a dozen Wind spires in your yard you might be able to go completely powered by wind, but that’s probably not realistic or economical. Investing a few hundred dollars on a thermostat which can teach itself the best way to manage temperature control in the home is a very worthy investment. There is a thermostat on the market which is getting a lot of recognition for its functionality and smart benefits to users, it is called Nest. This little device will run your home temperature settings all by itself and can help save money on energy bills. It learns when you wake up and will adjust the temperature to a comfortable setting before your feet hit the floor in the morning. It will also learn when you go to work, come home from work, and can even sense your presence in the home and will adjust the temperature accordingly. 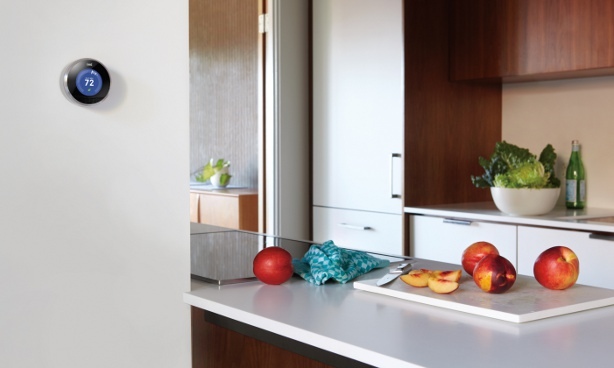 Nest has built-in motion detectors to adjust temperatures to the perfect setting regardless if you are home or away. If you’re not satisfied with how the thermostat is being automated you can control it with your smartphone from anywhere. All these little adjustments will definitely save you money. 50% of the average homeowner’s electric bill goes to heating and cooling. Nest will also adjust itself automatically depending on the weather because it plugs into your WiFi and checks forecasts. According to the manufacturer, households could cut 30% off their average energy bill simply by plugging this little device in. So in essence, you get a thermostat which learns how to ultimately control your environment without your input, can save you up to 30% on your heating/cooling costs, and only cost about 10% more than a standard hi-tech thermostat on the market today. 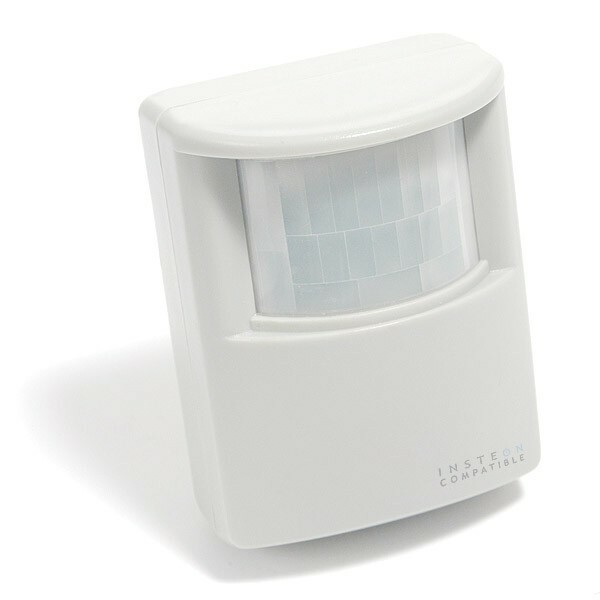 Installing light occupancy sensors to turn off or on the lights has the potential to save money. As any parent knows, no matter how many times you remind your children to turn off lights they never seem to remember. The general estimation of how much money is wasted every year on lights which get left on ranges in hundreds of dollars. If a 100 W lightbulb is left on for 10 hours it uses 1000 W of electricity, or 1 kWh. A quick look at your electric bill will reveal how much you spend per kilowatt hour. If the average is $.20, then that 100 W lightbulb left on for 10 hours would cost you…$.20. Then multiply this number by the amount of lights you leave on throughout the day and you will start to get an idea about how much energy you waste. Again, probably hundreds of dollars per year. A solution to that wasted energy is motion activated lighting sensors. A really easy way to implement this is by simply purchasing a motion sensor plug which fits in the old outlet. Then plug the light into the new sensor, attach multiple lights to it, and you’re done. Highly trafficked rooms will probably not benefit much from this technology, but low to medium trafficked rooms, which often have lights forgotten in the on position will be the best bet. Simple motion sensors like this cost anywhere from $10-$20. There is another solution to controlling forgotten lights. Home automation systems can connect all lights to a computer program on your phone. You can simply monitor which lights are on and turn them off as needed. There is a strong sense in both private enterprise and government circles that the smart grid will be slowly implemented across much of the nation and the world over the next decade. The smart grid uses information to communicate the personal habits of electricity consumers back to the energy companies. In essence if your household uses lots of electricity during peak times you’ll be charged a higher rate. In response appliances are being rolled out which have the capability of communicating with the smart grid. Not only will you be able to communicate with your refrigerator via your phone, your refrigerator, dishwasher, oven, and washing machine/dryer will all be able to communicate with the smart grid. Your appliances will automatically know optimal times to perform their functions. These times will be at the off-peak hours allowing you to save money by not incurring the higher rate. Manufactures of such appliances have already introduced energy-saving features into their products which help mitigate energy costs, but these new smart appliances will take this a step further by knowing when to operate without you even worrying about those peak rate issues. 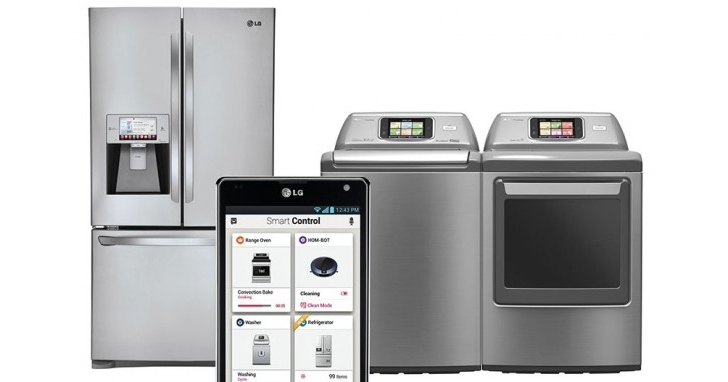 According to the Department of Energy the tax incentives and credits, plus the ability to lower energy costs, will help make these appliances purchase worthy just a few years into the purchase. The good news is that these smart grid ready appliances are finally on the market, and are not that much more highly priced than normal high-end appliances. We all know that wasting water by taking extra long showers is bad for our utility bills and bad for the environment. There is also lots of wasted electricity heating up all that water for those showers, and don’t forget about wasted energy from old water heaters and non-insulated pipes. Because of this there might be a tendency for homeowners to consider upgrading their old-school water heater to a new tankless water heater in an attempt to save money on utility bills. That is not a bad idea, but there might be some more practical solutions you can try first, because a tankless water heater is not inexpensive. Before you decide to go tankless you should contact an expert to look at your specific needs. The reality of the situation is that it really depends on the home, water use, and price for gas in the area. Even if water heaters are upgraded it is still possible to waste money by excess water usage if you don’t change bad showering habits. Sometimes the simplest devices can truly benefit us by simply reminding us to turn the water off. For only $10 you can purchase a simple product on the market called WATER PEBBLE. 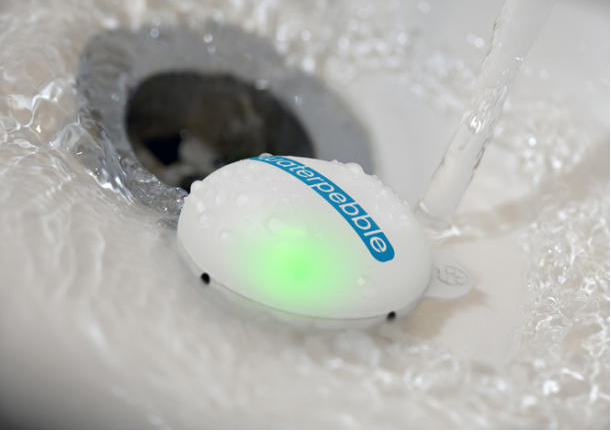 It’s a small device you place at your feet in the shower. As you start the shower you’ll see a green flashing light. As you continue the light will go from green to yellow, and finally blink red indicating that your shower time is over. Make no mistake about it, this device is smart. It tracks the amount of time you spend in the shower during the first use, and each consecutive use it shortens that time by seven seconds. When it becomes too short you simply hit the reset button. According to the manufacturer this device could end up saving you more than $300 per year on wasted water and energy. This might save you more than 12,000 gallons of water per year. Not a bad solution to save money with a simple $10 device. Reflection: In the Technology class, we just learn how to draw design and what is a design need; however in this blog, i know the little technology products can help us to save money and not waste resource. Do the little things from our live, that can save a lot of resources and make our environment better.